It all depends on the weather. Some years the snow is flying, or frying pans or Christmas trees. Guests trudge around Mt. Sabattis swinging golf clubs and hitting tennis balls as far as they can go. 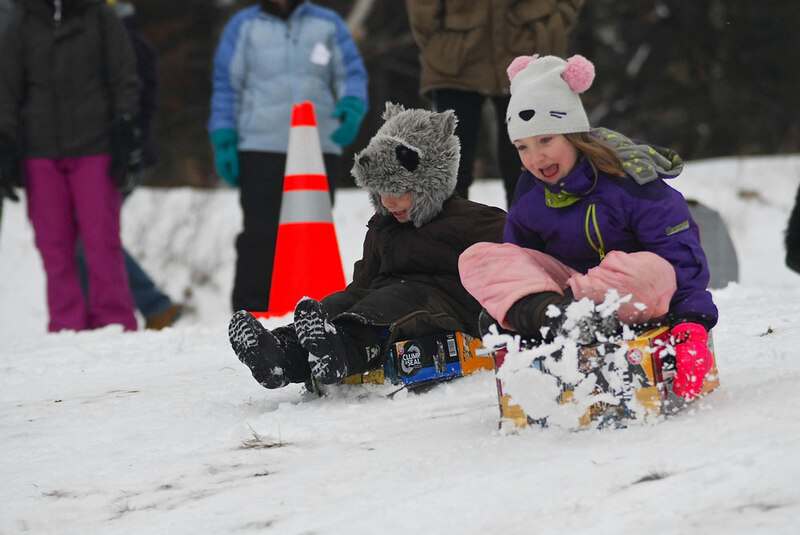 Kids of all ages sled on toboggans and race cardboard boxes down Mt Sabattis. Some years the frying pan goes so far and fast on the icy surface of the parking lot and spectators gasp fearing for the cars in the parking lot below. One year the throw was so impactful the frying pan broke and organizers scrambled and improvised with a folding chair. Winter Carnival always happens the Saturday of Martin Luther King weekend, no matter the weather. This year its Saturday, January 13, 2018 at Mt. Sabattis Geiger Arena, 6 Pavilion Way, Long Lake NY. What to expect for the weather? Historically the Winter Carnival Conditions have varied from blizzard white outs, to frigid temps or the terrorizing January thaw. 2018 looks to be shaping up for a full-fledged Winter Carnival experience with the arctic cold snap breaking shortly after the Winter Bombastic Event. Long Lake will be looking for some snow early in the week January 8th and 9th with snow Monday, Tuesday and some ice and snow rounding it up Thursday and the early forecast for Saturday the 13th looks for 20 degrees and morning snow showers. That’s balmy by Long Lake standards. Someone once said it’s not cold temperatures, but bad clothes. So layer up! 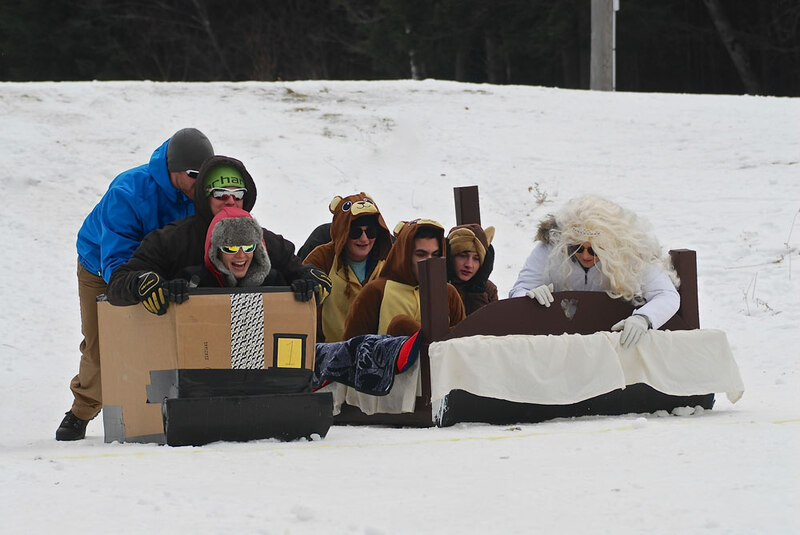 One year the Cardboard Sled races were held at minus fifteen degrees. Yes, a minus in front of the 15 and we thought the polar plunge was cold at 8 degrees ABOVE zero. Our local doctor happened to be on scene to push his son down the hill in a cardboard box and remarked we shouldn’t really be outside because it was too cold, we should at least be wearing gloves! Funny he said that as we were frantically running brackets for the Cardboard Sled Races and the pen ink was freezing and it was practically impossible to keep up with the teams. Turned out we had over 40 cardboard sleds participating that year and luckily we didn’t get frostbite as we took turns filling out the paperwork. As Winter Carnival is a community event you can always find members of the Long Lake Fire Department in the kitchen serving up hot food. There’s hot chocolate and popcorn too. 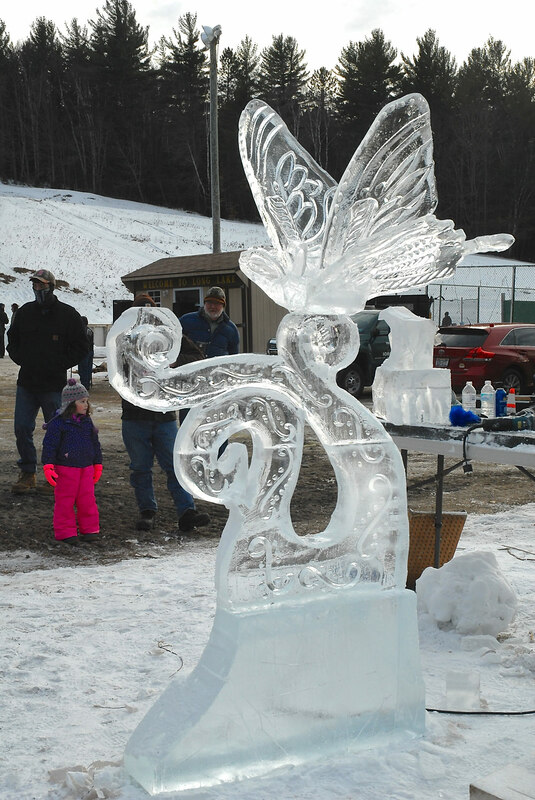 The Moonlighter’s Snowmobile Club host the coronation and sponsor some of the games and prizes. Other businesses and organizations contribute keeping the spirit of the community bright and vibrant. Lots of people want to know what we have going on for the youngest set. Our favorites are definitely the Cardboard sled races, skating and sledding all day long. If you seek a softer, gentler commitment try your hand at fashion and join in the Wacky Hat Contest. 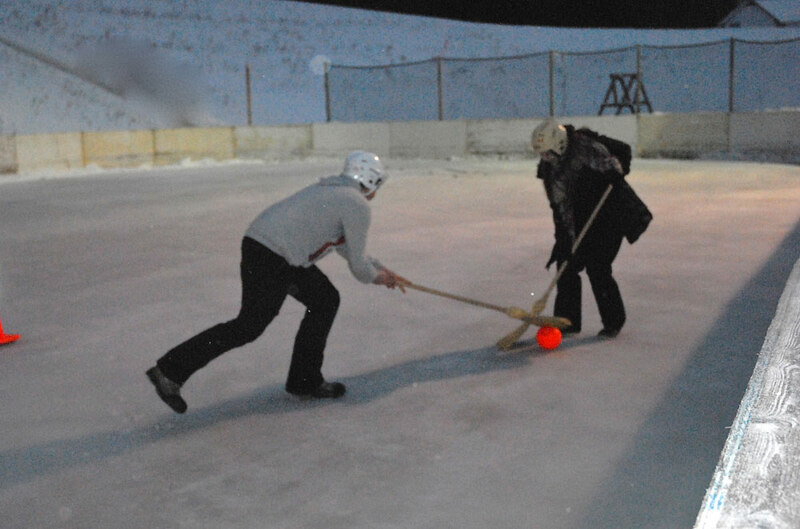 For gusto and fun give a shot at the Ladies Frying Pan Toss, the Men’s’ Caber Toss, Human Foosball, and Broomball. Just want to visit and enjoy the great outdoors? Find your spot at the bonfire. If snowmobiling is your thing, trailer your sled up, make sure you register your snowmobile with the Moonlighters Snowmobile Club (for a break on registration) and hit the trails throughout the day. Mt. Sabattis located right off of the popular Powerline trail known as C7B. Our Long Lake and Raquette Lake Groomers will be out packing the trails while our Hamilton County Highway Crew and Long Lake Highway crew help flatten out the banks on roadsides for sled traffic. 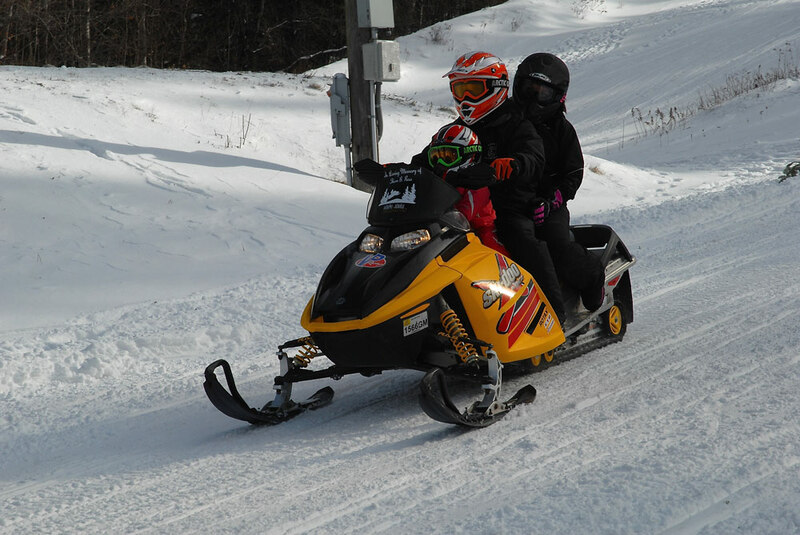 All local roads in Long Lake and Raquette Lake are official snowmobile trails so use those to connect to C7B, C7, C8, C8B and our shorter interior loops including the Lake Eaton trail are popular too. The whole day gets underway around “noonish” We call that “Long Lakey Vacation Winter Time” The event starts off with a Moonlighter’s Snowmobile Club Coronation. 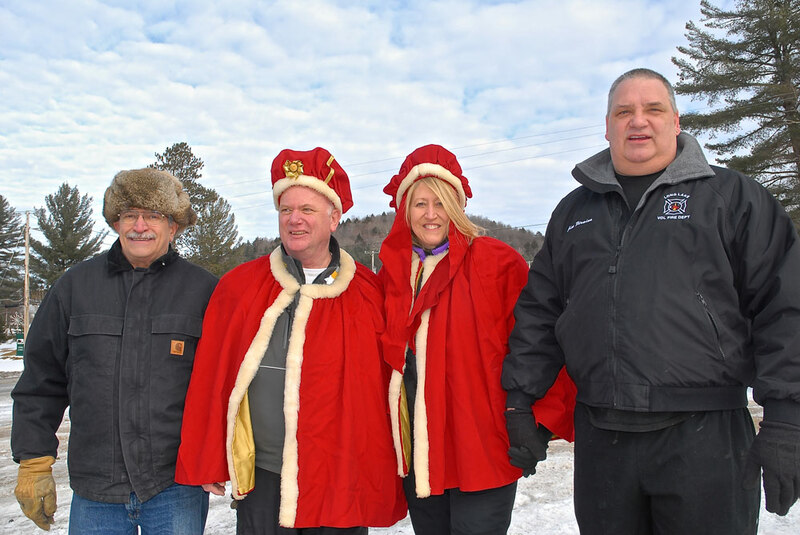 A snowmobile parade escorts the King and Queen down the hill with a ceremony anointing our new royalty. 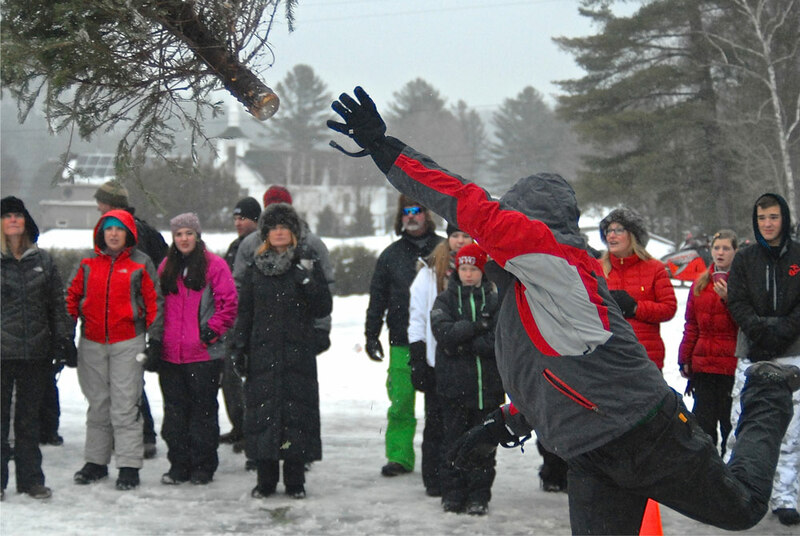 Events continue on with the Wacky Hat Contest, Cardboard Sled Racing, Town Wide Photo, and a multitude of events throughout the day. Plenty of cash prizes are provided by the Town of Long Lake, The Long Lake Fire Department, The Moonlighter’s Snowmobile Club, Long Lake Real Estate, the Long Lake Diner and more. For 2018 the Ice Farm will be on site doing ice carving demonstrations throughout the day and the day concludes with a fireworks display at 6:30pm. The Long Lake Little Bus (our answer to Uber) is free and available starting at 5pm. Call 518.323-5001. Join us and bring your whole family. Come for the day or stay for the weekend. You’ll be glad you did! 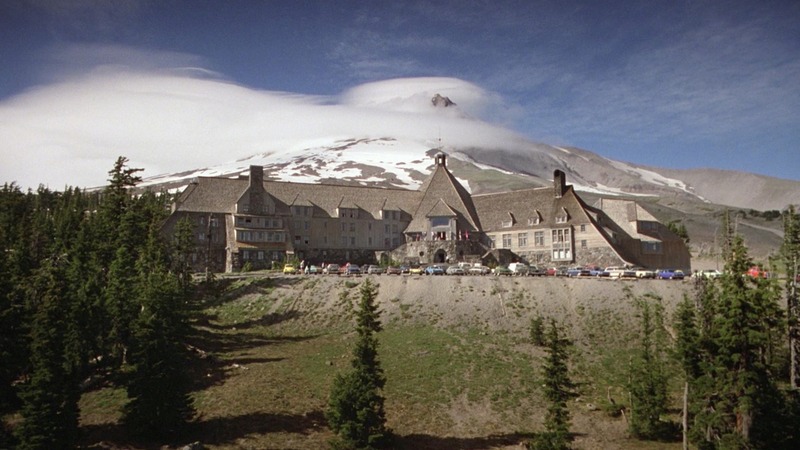 Here’s a link to our available lodging in our area. Pick your spot, rest your head and our town will do the rest! Schedule of Events – All times subject to change without notice. Free ice skating and sledding all day long. The Long Lake Fire Department will provide hot food, hot chocolate, popcorn and snacks. This event happens snow, rain or shine. All times subject to change without notice. The Mt. 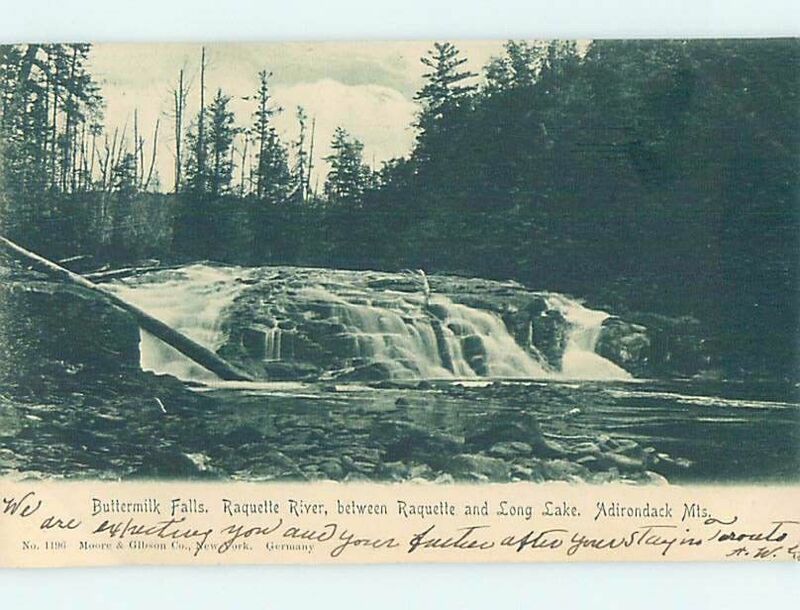 Sabattis Recreation Center, Geiger Arena is located at 6 Pavilion Way across from the Long Lake Post Office on Deerland Road, NYS Route 30 in Long Lake, NY. This event is free. Parking available in the lower parking lot, along South Hill Road, Owls Head Lane and at the Post Office after 12pm. 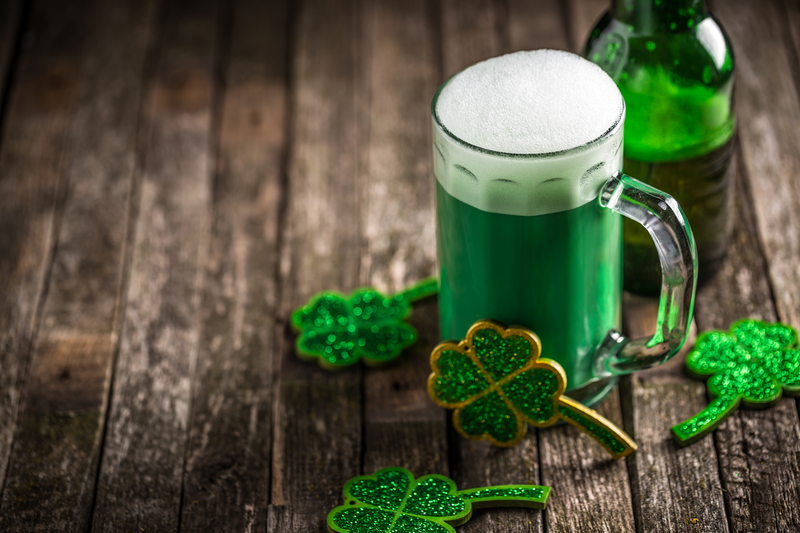 There will be free shuttle service running starting at 6pm until 2am to and from the event location and pickups throughout town. Call 518-323-5001 for a ride. Open to the public. Snowmobiles welcome!